This Rhythm and Blues song written and first recorded by Mack Rice in 1965. 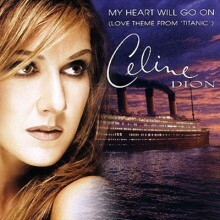 It gained greater popula..
Also often called the "Love Theme from Titanic". It is the main theme to James Cameron's blockbuster.. This song was written by June Carter Cash & Merle Kilgore and was originally recorded by June's .. The original song is a Rastafarian number written and recorded by Brent Dowe and Trevor McNaughton o.. The song ‘Sailing" was composed by Gavin Sutherland of the Sutherland Brothers in 1972 but is best k.. This classic funk song by American funk band Earth, Wind & Fire was written by Maurice White, Al..
"Sing" was written by Joe Raposo in 1971 for the TV show Sesame Street. Raposo was one of the staff .. This popular light orchestral Christmas music standard was composed by Leroy Anderson. The composer .. This song was written for ‘The Chiffons’ by Doug Morris in 1966. Doug had joined ‘Laurie Records’ as.. The song was written by Burt Bacharach and Carole Bayer Sager and first recorded in 1982 by Rod Stew..